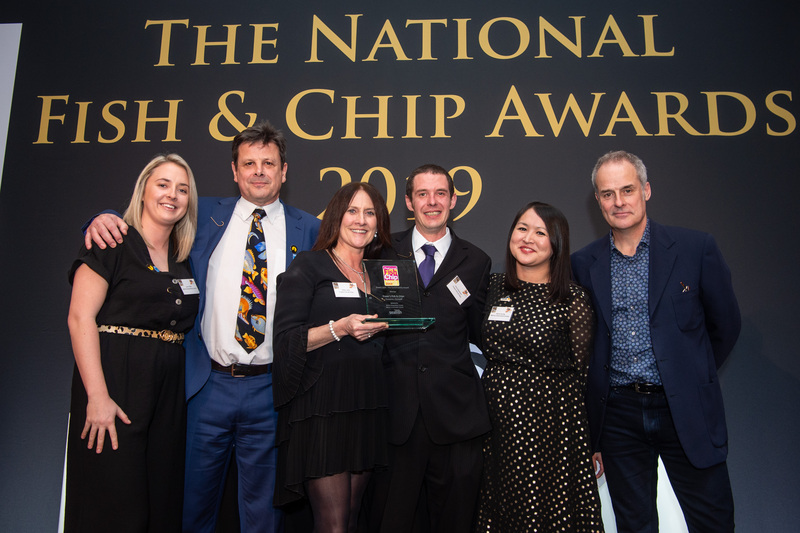 A Penzance-based Fish and Chips shop has won the Marine Conservation Society (MCS) sponsored award at the 31st National Fish and Chip Awards. During the evening it was announced that 'Frasers' had won the 'Good Catch Award' and they were praised for sourcing local, sustainable seafood. Pete and Sue Fraser (who also own the award-winning, Harbour Lights chippie in Falmouth) stated that they only sell wild-capture and farmed fish from sustainably and responsibly managed fisheries. They base their decision on whether a particular fish species is from a sustainable source by using the MCS Good Fish Guide and the Cornwall Wildlife Trust’s Good Seafood Guide. The Good Catch Award is jointly supported by MCS and the Marine Stewardship Council (MSC) to encourage sustainable sourcing in the fish and chip shop industry, so that diners can eat fish from fisheries where stocks aren’t under threat from overfishing.